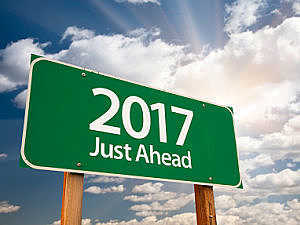 “The New Year might see a negative start, and it might last for a few months. Political uncertainty following Brexit and post- US Presidential election and the demonetisation, we're cautiously optimistic about the year ahead. We suggest that investors should expect lower-than-average returns in the equity markets going into 2017. Key indices could correct by 10-15 percent in 3-6 months if domestic institutional investors (DIIs) sell off. December 2016 is turning out to be the worst month in terms of sell-off from global funds. But we expect things would start to improve in the second half of this year (2HCY-17) fundamentally. Post demonetisation, a new fear-factor has emerged in the market amongst the investors. Earnings growth for the next one-two quarters should be little tough from an economy perspective. We expect a fall in cement off take, in automobile, in textiles, in gems and jewellery, retail footfalls. The big liquidity crunch in the economy, that’s having an impact. Earnings growth in 2016-17 (FY17) will only be around 2-3% because of the very low earnings growth in the third and fourth quarters. Above all, there is the movement of money from emerging markets to developed markets. The situation has become tricky for global fund managers, after the election of Donald Trump as US president. The fact that President Trump is promising a major fiscal stimulus in February 2017 is obviously making global investors very excited about US markets. So, you have a slowing economy in India, potentially with more slowing growth to come, we have a banking sector which is a third of your stock market cap and the other side of the world you have the world’s largest economy now accelerating. We think the FII outflows to continue. At the moment domestic institutional investors are holding the market, but if that support goes away, we have got meaningful market downside in the near term. High valuation is another problem plaguing sectors with a domestic focus. Valuations had gone up without much earnings growth, so they may come down. Export-oriented sectors will also be a big beneficiary of the expected depreciation in the Indian rupee (because of a strengthening dollar). The dollar may go up to Rs 70-72 levels, which will help export-driven sectors to register push 15% CAGR in earnings over next two years. We expect 2017 will start the year in a bearish way. Basic chart reading reveals a long term pattern with very strong support at 7500 points. Worst case, Nifty index will fall to that level, which still validates a bull market scenario. In case of any major weakness in Nifty, the fall is likely to halt around 7400-7500 levels. Since 2009, in all panic scenarios, Nifty has been finding support at these levels in the past three to four years. We do not see Nifty even visiting these levels, but in case it does and it should recover much higher from these levels. Pharma and IT in that order will be best bets in uncertain times if someone has investment view of less than one year. City Gas distribution companies will keep doing well in the wake of rising crude prices and also increasing focus on green energy”. In the last two years, the annual closing has been to the downside or almost flat. Nifty in 2014 closed at was 8174 and in 2015 end it was 7946. The ending of 2016 does not look promising. The P/E level has also been flat during the last three years. During these three years Nifty witnessed the strong resistance at 9,000 levels on the upper side in the coming year, which also looks difficult to cross in the current scenario”.